Last Friday was a momentous day for Sci-fi fans everywhere, as the day of the doctor came and went. This special episode marked the 799th episode, and the 50th anniversary of this epic series. By contrast, there were only 178 episodes of Star Trek the next generation. I didn’t watch it when it aired, though the according to reports most everyone else did. I waited till Monday, and saw it in 3D in the theater. It was a wonderful experience. Like any public geek gathering, there were plenty of people dressed up for the occasion. T-shirts were the most common, but a few people made passable efforts to dress like the doctor, and there were a couple dalek dresses and hats in the mix. The atmosphere was festive, and the audience was lively – so much so that it took me some time to notice one crucial detail. When going to any sold out nerdfests, be they Star Wars or Comic book, men out number women in the audience at least three to one. This audience though, the women out numbered the men, even if slightly. A first in my experience. The episode was good overall, maybe even great, as it struggled to tease coherent themes out of decades of wandering story lines. Where it really excelled though was fan service. From the guest appearances to the inside jokes there was something in for everyone. Even the intro bits to prepare the audience for the shift from 2D to 3D were cute (as we were informed by the doctor that the 100th anniversary episode would be in 12d.) All in all, I would say that this special served to reinvigorate the series and refocus it going forward. If you didn’t catch it the first time, I suggest you take the time to pick it up on Netflix when it shows up there. If you did catch it, I would love to hear what you thought of episode #799. I watched the show on television rather than the theater. Can’t stand 3D. 12D sounds like it’d make my head explode, so it’s just as well I probably won’t be around for that. That said, it was fantastic. All the little pieces coming together worked for me, no matter how ridiculous. I don’t so much suspend disbelief for Doctor Who as I do hang it by the neck until dead, so I have no problem with some of the absurdities. And I thought it was a great tribute to the anniversary. If you haven’t seen them yet, the “Night of the Doctor” mini-episode bridges Paul McGann’s Doctor to John Hurt’s. (Amusingly enough, though he’s only appeared in the movie and the mini-episode, McGann has actually portrayed the Doctor longer than any of the others, including Tom Baker, thanks to his work in the audio adventures. Also, make sure you see “The Five(ish) Doctors Reboot”, the half-hour show that Peter Davison wrote & directed, which has him, Sylvester McCoy, and Colin Baker trying to get into the 50th Anniversary Special. It’s hilarious, and chock full of cameos and references. It was so amazing. Smith is largely my Doctor since I first gave the series a chance at the beginning of his run, but after recently finishing Tennant’s, I certainly see his appeal. I consider myself an honest-to-god, dyed-in-the-wool Whovian now. 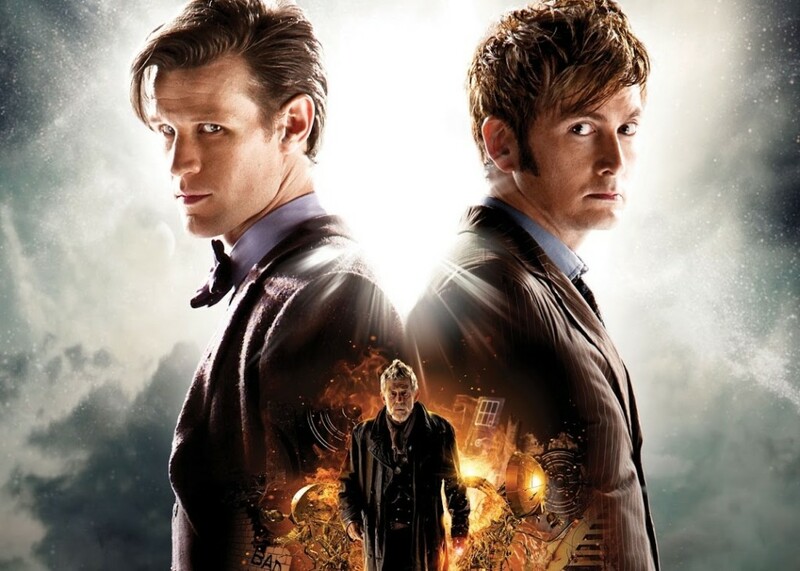 The Day of the Doctor reminded, confirmed, and reaffirmed exactly why – it was amazing!